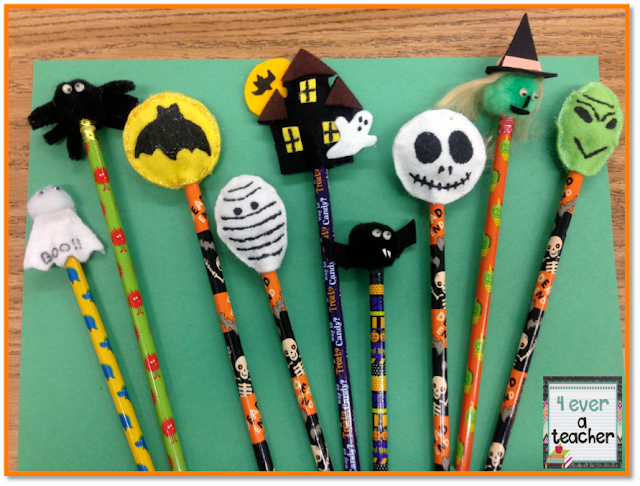 I am bragging about my parent volunteer again... Every year she makes the tops of pencils with a Halloween theme. I give her the picture of what I want with the supplies and she does all the magic. We use only felt, pipe cleaners, googly eyes, shiny fabric paint, pom-poms, and the pencils are from Target's dollar section. Take a look. Aren't they soooooo cute? The haunted house is the theme for this year. The others have been from previous years. Here are some other ones that we have done in the past. 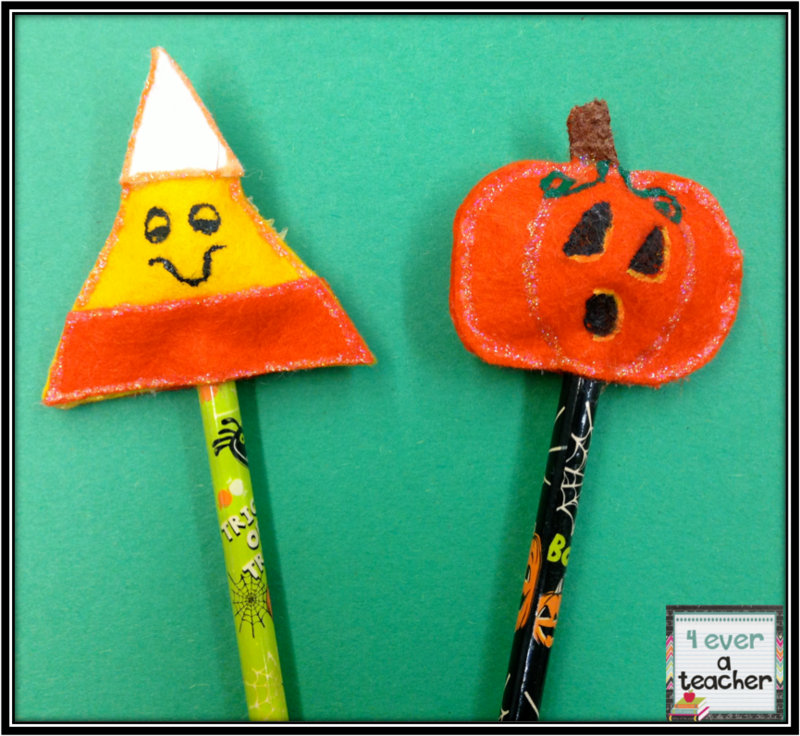 She is also sewing my felt Halloween trick-or-treating bags for the kids as a haunted house. Will post that picture later. What kind of goodies do you do for your kids?